The movement demanding accountability for crimes committed during the two civil wars in Liberia was recently joined by a new and somewhat unusual group – young Liberian artists. The debate (see previous blog posts here and here) had often been carried by established justice advocates including prominent journalists, lawyers and other Liberian and international civil society members. 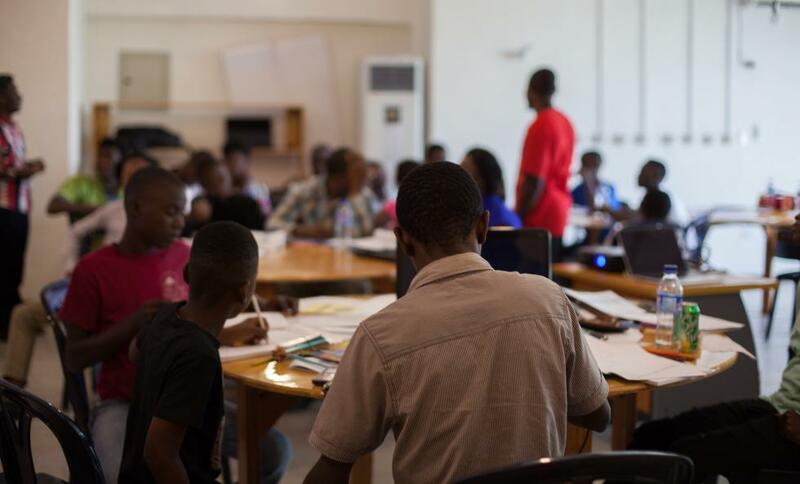 But during a 4-day Cartooning for Justice Workshop, students from the Liberian Visual Arts Academy and other young artists started to raise their voices or rather their pens. Cartoons? Comic strips? What, you may ask, can they possibly contribute to such serious and complex questions? A cartoon is a message being conveyed through a story in a sequence of drawings. When communicating a message mostly through images, we must simplify and focus on what is most important. 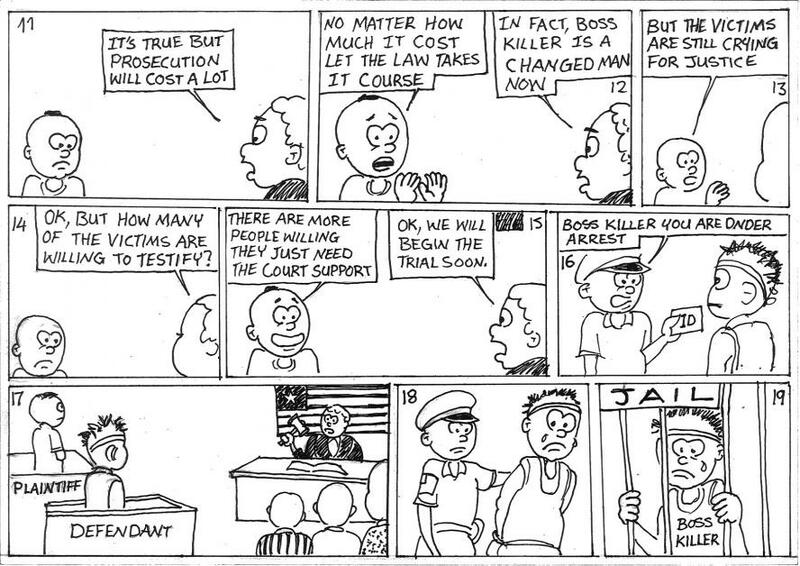 However, when informed by in-depth research – in this case, legal research on the theories of punishment and how they relate to the Liberian post-civil war context – a simple message does not have to be a simplistic one. “We want justice” reads a protestor’s placard in a cartoon by “Student 2”. Finally, for many Liberians who have experienced the civil wars, it can be difficult to talk about it. Here, cartoons offer a less intimidating, more playful form of communication. 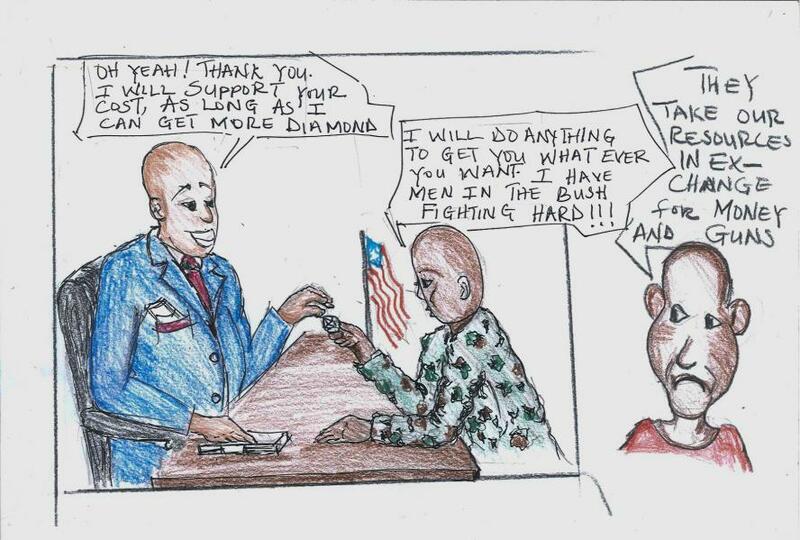 In this sense, cartoons can also help to bridge the generation gap between Liberians who have experienced the civil wars and those who have not. 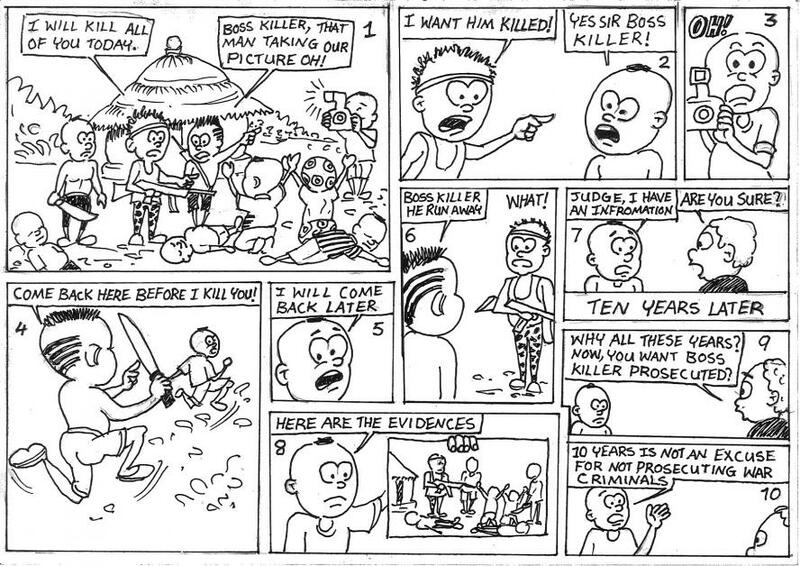 Cartoons can play an important role in promoting inclusive and informed debates on accountability for crimes committed during the civil wars in Liberia, in particular when informed by thorough research. 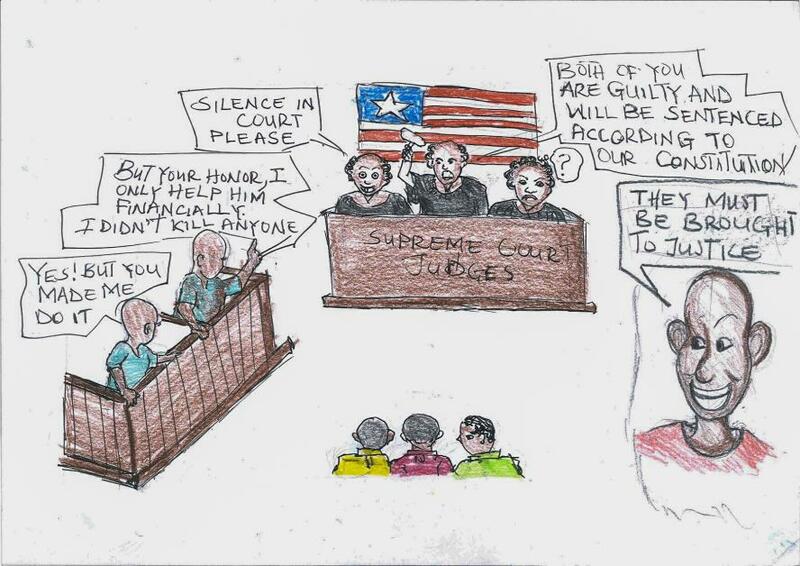 But the contributions of young Liberian artists are not limited to cartoons: exciting theatre and music projects on issues of justice and accountability are on the way. 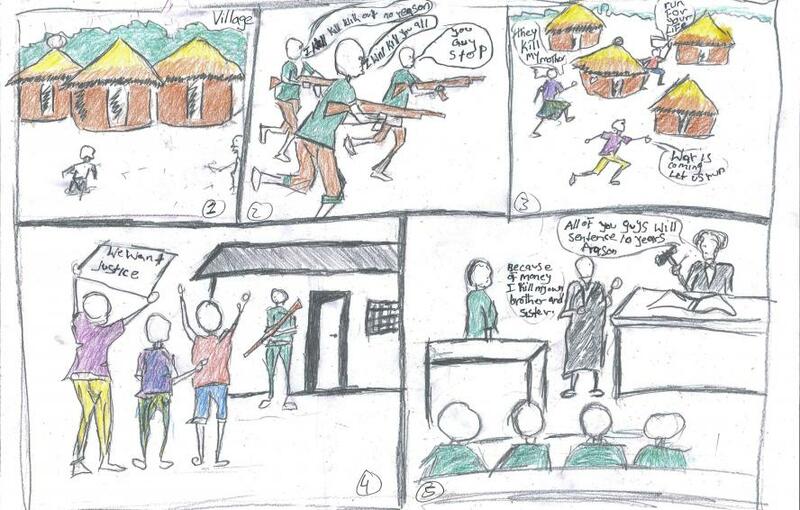 The cartoons in this piece were drawn by school-going Liberian children who cannot be identified for their own safety. 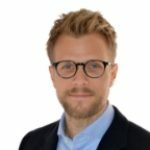 Felix Lüth is a Legal Counsel at Civitas Maxima, a PhD Candidate at the Graduate Institute Geneva and a Swiss National Science Foundation Research Fellow at King’s College London.